Place the chicken in a bowl with the yogurt, lemon juice, garlic, vinegar, parley and some salt and pepper. Mix well. Cover and refrigerate for a few hours but preferably overnight. 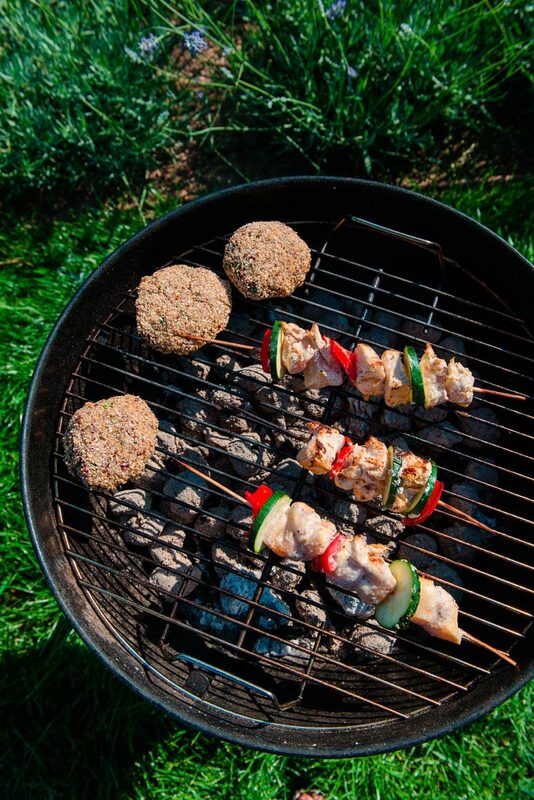 Soak the wooden skewers in water before using them so they won’t catch fire on the barbecue. Cut the courgette into even rounds and the pepper into large dice. Begin assembling on the skewers, alternating between the chicken, pepper and courgette. Place on the pre heated and oiled barbecue and cook for approx 15 mins, turning regularly.